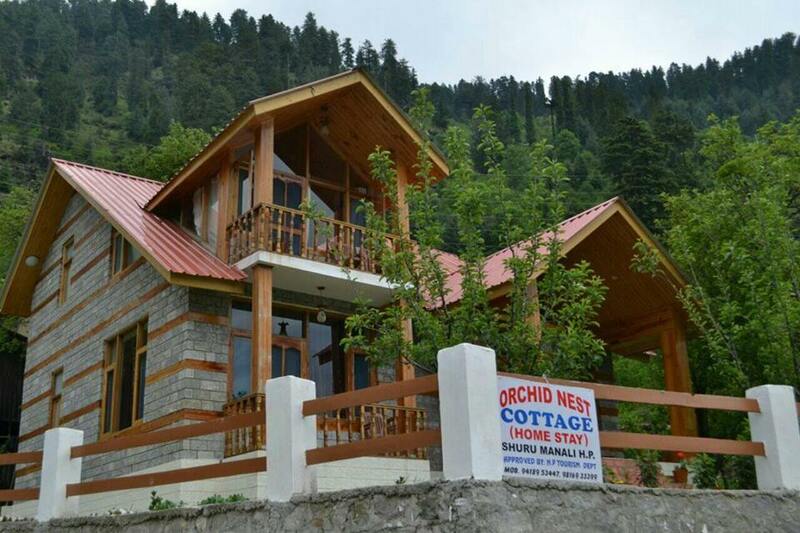 Orchid Nest Cottage is a cottage of Himachal alpine construction made from wood and stone would come into view almost fairy tail like, axcept that instead of eleves and fairies to create magic, you will have your host to weave in that charm! The hosts who stays next to cottage wall through the lawn to experience beautiful nature and warm up to the hospitality of your hosts the moment of your step in. 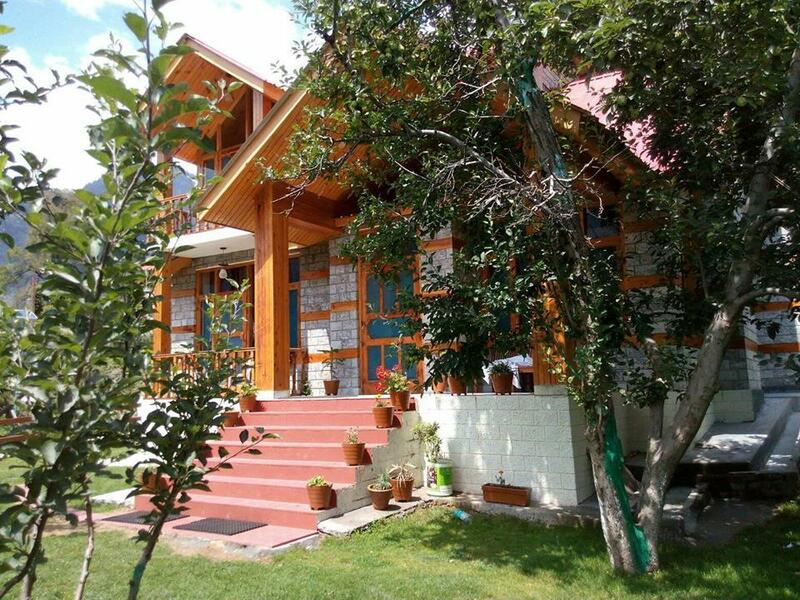 The ambience would spell warmth and the furnishing instant comfort windows open to scenic views of the orchards and the Himalayan peaks. Now what would be your immediate need? To refresh tuck in, or relax? One thing at a time. A quick refresh in the well appointed room would invigorate you for what lies in store.Be prepare to land in a foodies paradise as you treat yourself to a vast spread of himachal cuisine! Engage in free wheeling conversation with your host and learn more about the local culture of Shuru village. A lavish slice of nature as luscious as those rosy red apples dangle on the branches, grab those fruit before they fall and make your holiday memorable. A living room, dinning area, with three bedrooms with attached bathrooms each. The cottage offers the perfect gateway for a family. It can accommodate up-to 6 adults and 3 additional person. 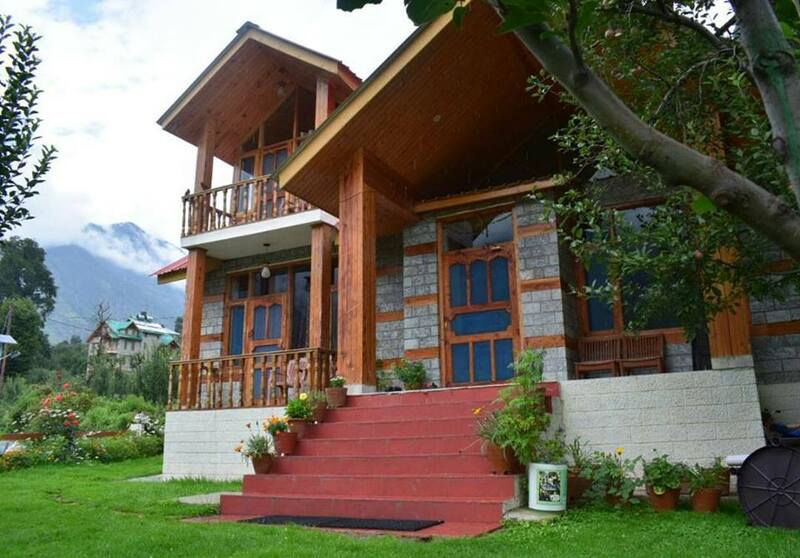 The traditional himachal alpine construction adds to the charm of the stay. 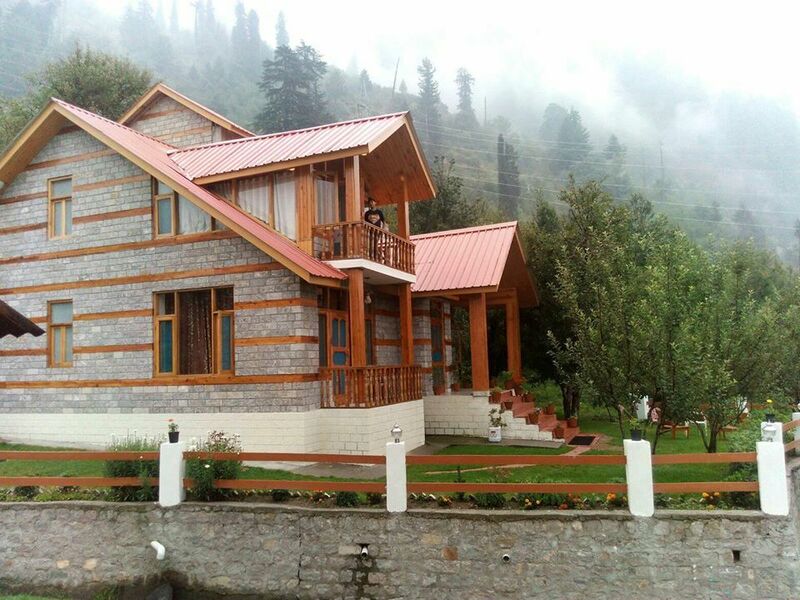 Where as the sprawling lawns and apple orchards envelop the stay in natural freshness.